If you use 3.5-inch hard drives the way people used floppies ten years ago, you probably have a stack of them lying around. Get them sealed away from dust and debris with Mukii's colorful HDD protecting boxes. 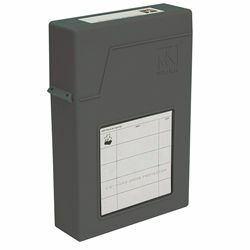 Blank labels help you keep track of each drive's contents. Sold individually. Fits 3.5-inch (desktop) hard drives, not included.